to unblock the glands in the eyelid, which may be infected and inflamed, like acne on the face or a tiny boil. The treatment will your eyes more comfortable, but there is no magic cure and it may return once treatment is ceased. Even with treatment your eyes may remain a little sore, but no harm will come to them and there is nothing to worry about. It’s not a serious condition, and there is rarely any damage to your eyes. Soak some cotton wool in warm water. Rub the cotton wool over the closed eyelids for 2-3 minutes, and repeat. Then clean the edge of the lower eyelid with a cotton bud to remove scales and debris on the edge of the eyelid. Move the cotton bud along the eyelid, using a mirror, and pulling the lid away from the eyeball with the fingers of the other hand. Rub the edge of the lid gently. The warm bathing helps to soften up the scales first. It is preferable to boil the water first to sterilise it, and allow it to cool. It may be two weeks for any improvement. Bathe 2-3 times a day, gradually reducing the frequency of bathing as the eyes become more comfortable (although bathing does not help everyone). It is safe to stop cleaning, but you may need to start again if the condition returns. 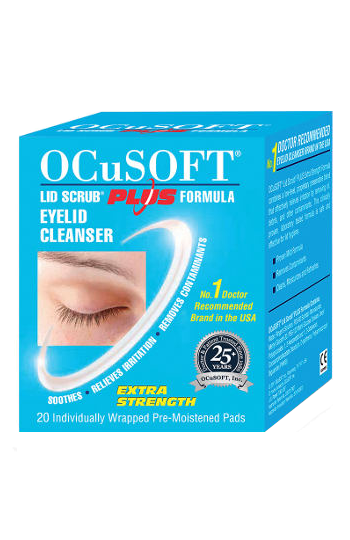 There is a number of dedicated lid hygiene wipes and cleaners such as “Supranettes”, “Lidcare” and “Ocusoft Lid Cleaning Foam.” These are embedded with special cleaning agents which specifically target the secretions produced by blepharitis. Ask at the reception desk for details. Lubricants can helpful to both assist the spread of your own tears and lubricate the eye, and replace tears if you have ‘dry eyes’. gels such as ‘Celluvisc’ or ‘Viscotears’ are usually helpful. drops such as ‘Systane’ or ‘Blink Intensive Eye Drops’ may help. Lipid replacement sprays, such as actimist, in some cases can help. If the cleaning is not helpful, an antibiotic ointment may be required from your GP. Try it for 3 months (chloramphenicol or fucithalmic). As the condition can return once treatments are stopped, you may need a repeat prescription from your GP. In severe blepharitis, antibiotic tablets may be an option, especially if associated with skin condition, such as acne rosacea, or very dry skin, or if the edge of your eyelid stays red with many scales. Antibiotic tablets are NOT suitable for everyone, particularly if you use several other tablets or have stomach problems. You will need to discuss this treatment with your GP first. Oxytetracycline 250mg twice daily (or doxcycline 50mg once daily [or erythromycin]) is usually used for 3 months. 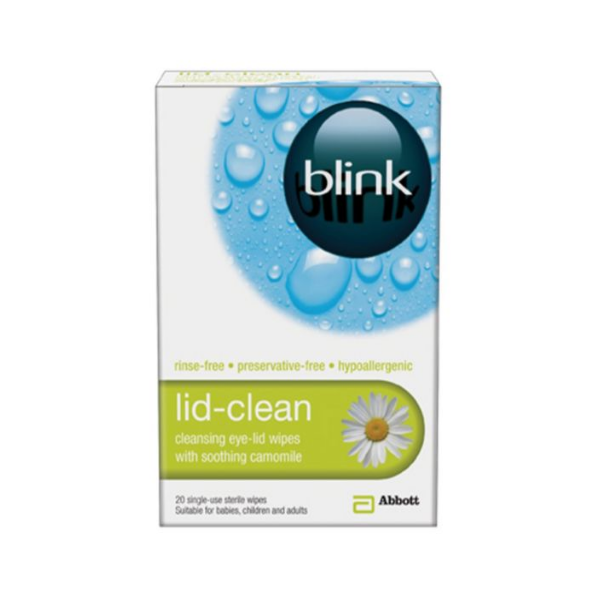 The benefit lasts several months after this treatment, but you may need to use further lid hygiene to stop recurrence. If you continue to have symptoms we recommend that you have your eyes assessed. You may have dry eyes (or at least poorly spreading tears) and replacement tears may help, as described. You may have an allergy, particularly if the eyes are itchy: Optichrom or another anti-allergy drop could help with these symptoms. You can see your GP on the NHS or alternatively, you can book in for a private Dry Eye Assessment with your Optometrist. Your eyes should be checked routinely by an optometrist for other conditions such as glaucoma; occasionally new spectacles may make the eyes more comfortable. If your eyes remain red and very irritable we can now offer DRY EYE ASSESSMENTS for £35.00 which can investigate the causes. Alternatively you can see your GP for NHS treatment. Until recently Blepharitis was very hard to manage. 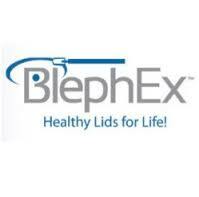 Now there is the BlephEx. The First and Only Clinician Treatment for Blepharitis, is now available at Mellis Eyecare. BlephEx™ is a revolutionary new patented hand piece, used to very precisely and carefully, spin a medical grade micro-sponge along the edge of your eyelids and lashes, removing scurf and debris and exfoliating your eyelids. The gland may also be damaged by the body’s immune system. The immune system is meant to fight infections (‘germs’), but sometimes it becomes over-active. 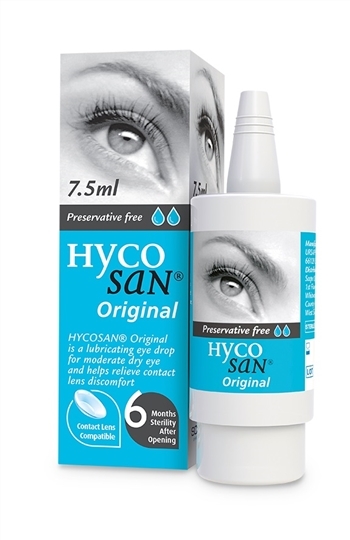 Whilst the immune system may damage the lacrimal gland, it does not damage the eye itself ‘Very dry eyes’. 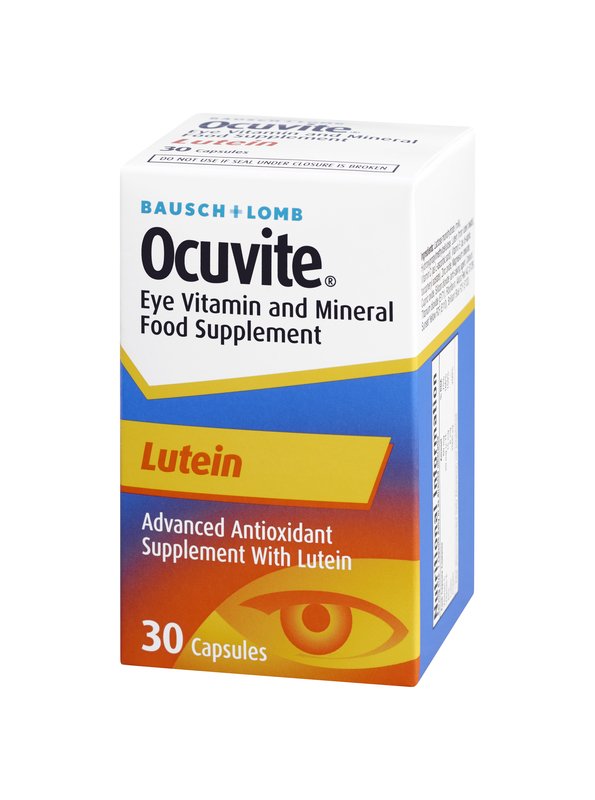 These are particularly useful for people with very dry eyes. Because they have no preservative they can be used more often, upto every half an hour, without damaging your eyes. One example is ‘Minims’ tears: the ampoules (mini-bottles) contain about 14 drops, and may last a day with practice. They are moderately expensive. We recommend Blink Intensive Eye Drops. SYSTANE Lubricant Eye Drops contain a unique gelling and lubricating polymer system formulated to adjust to each patient’s individual tear film pH. This ensures optimum properties for each user and provides enhanced relief on a patient-to-patient basis. 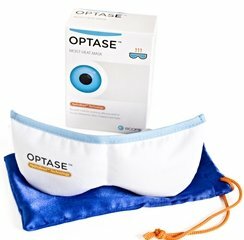 It is like eyedrops but once on the eye SYSTANE behaves more like a gel mimicking the tear film more closely. 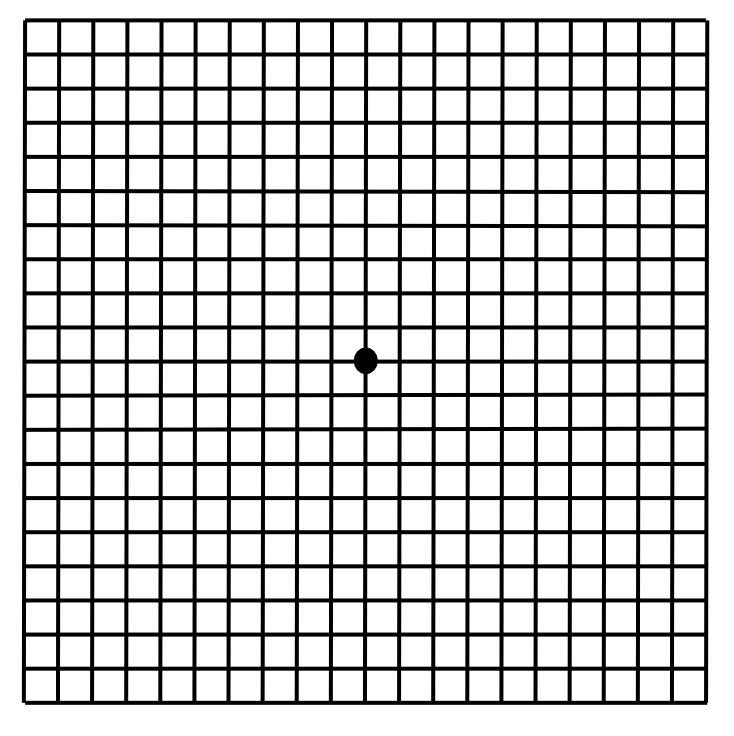 The grid below is a quick and simple test, known as The Amsler Grid. It can help to determine whether you are experiencing the early symptoms of AMD, but remember it is not a substitute for an eye test. 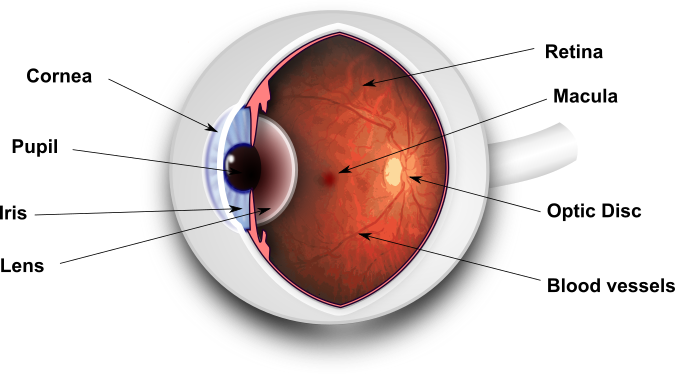 The Macula is the area of the retina responsible for your most detailed vision. It is very energy intensive and with age this can cause a build up of waste material. This normally presents itself as yellow deposits within the retina called “drusen”. Over many years these drusen can accumulate at the macula and cause a drop in your vision and this is termed Dry Age Related Macula Degeneration (Dry AMD). There is currently no treatment for this. The accumulation of waste materials is often accompanied by new vessels growing below the retina. These new vessels are the body’s way of helping the macula with its oxygen supply but unfortunately these vessels are fragile. This means that they can sometimes burst and spread in-between the retinal layers leading to distortion or a sudden vision loss which is termed Wet Age Related Macula Degeneration (Wet AMD). When this happens it needs to be assessed as soon as possible as it may benefit from treatment using a cold laser (photocoagulation) or special eye injections. 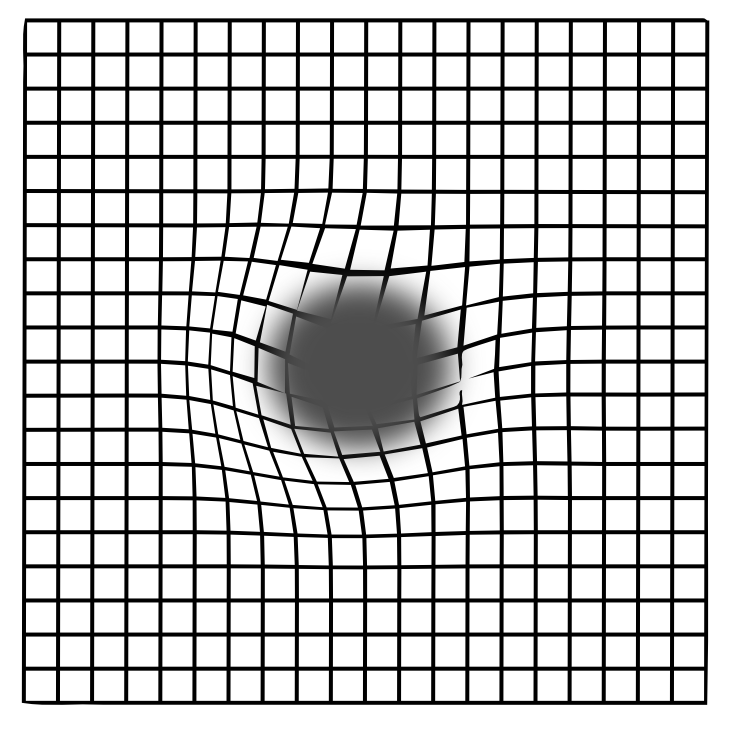 The eye works by focusing images onto a light sensitive layer called the retina. 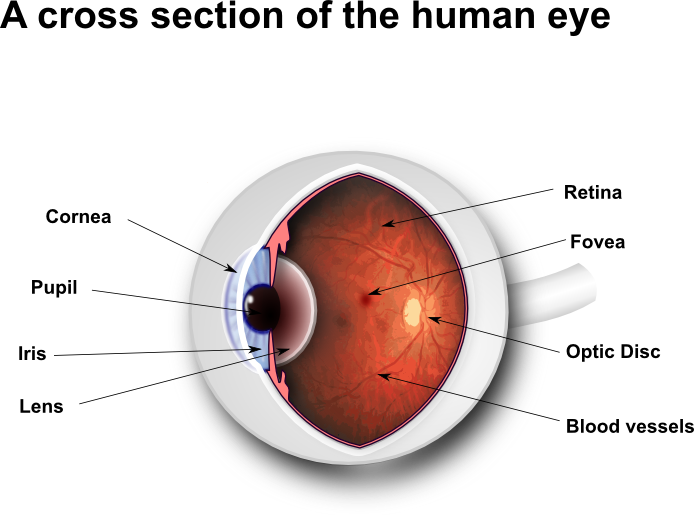 The majority of power comes from the cornea at the front of the eye and then the fine focusing, from distance objects to near objects, is controlled by the lens within the eye. When you are young the lens has a lot of focusing power but as we age the lens continues to grow, hardens and gets less flexible and this normally leads to the need for reading glasses to assist our focusing at near. This continues through out our life and means the older we get the denser the lens gets. 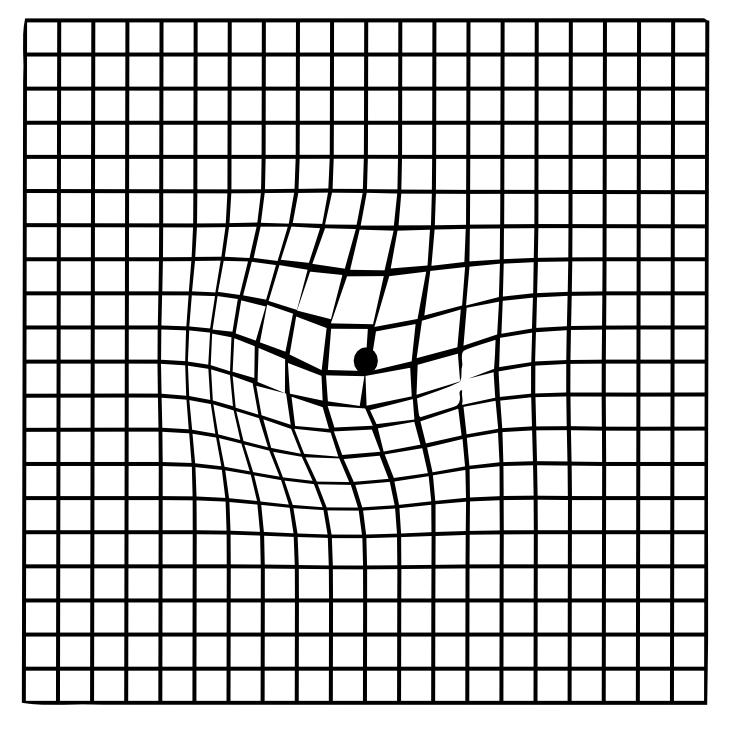 This makes it harder for light to travel through and more light is scattered, degrading the final image which lands on the retina. This aging effect on the lens leads to nuclear sclerotic cataracts which basically means hardening of the lens. There are other types of cataracts and getting old is not necessarily a precursor to developing a cataract. Any abnormal growth of the fibres which make up the lens can lead to a cataract and some people are even born with them. 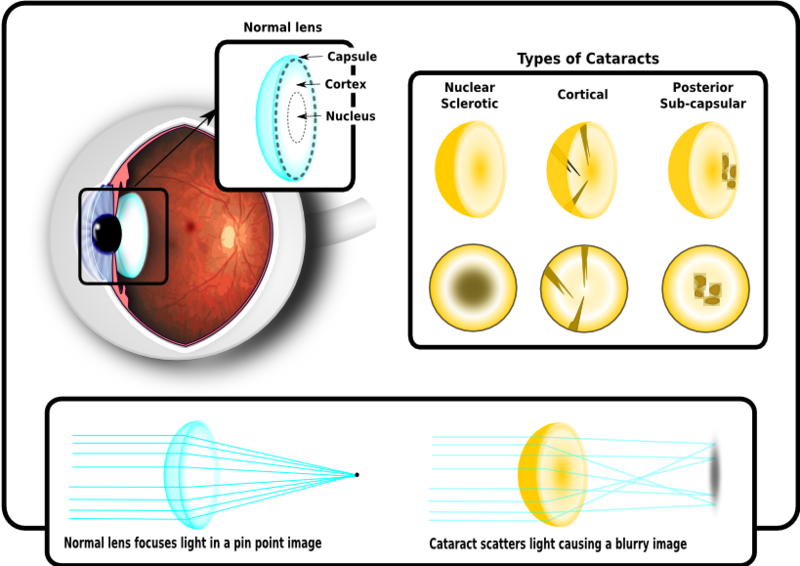 Once a cataract develops it rarely causes any permanent damage and if it starts to cause you problems there is a straight forward operation to restore normal vision. The lens is made up of several layers and it is the denser inner layers that normally cause a problem. An incision is made into the cornea and a hole is cut in the capsule, the outer layer of the lens. The middle part of the lens is liquefied using high frequency ultrasound and sucked out using a vacuum. 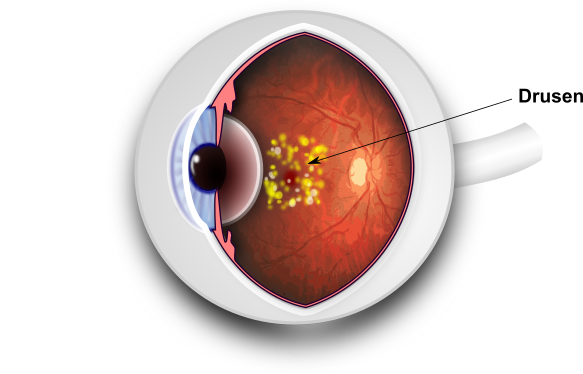 Then an artificial lens is inserted into the eye, which rests within the capsule and restores normal vision. Spectacles may be required for clear distance and near vision. Unfortunately we can no longer assess you on the NHS under the Emergency Eye Care Scheme as this was decommissioned in the area. However we can assess you privately for a fee. Otherwise we recommend that you go to an Accident and Emergency Department without delay if you notice any of these symptoms.